Throughout the nation, there are neighborhoods which are set back from the road and surrounded by gates that are guarded by security personnel who monitor the comings and goings of people on the grounds. 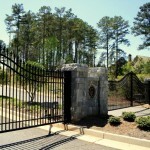 These gated communities are highly appealing to some home buyers who like the exclusivity, privacy and security that they feel is afforded to them when living in one of these neighborhoods. 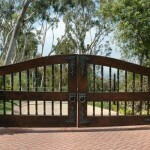 A gated community depends greatly on the things that you value in the neighborhood where you live.